Hi, my name’s Tony. I’m the Owner and Managing Director of Nork Motor Engineering. I grew up in Banstead, completing an apprenticeship at Burgh Heath. Then I spent 6 years at college, achieving Mechanic, Technician and IMI Management qualifications. For 34 years I have run this buisness, gladly mixing my office commitments and engineering duties, such as electronic diagnostic work and MOT testing on both cars and motor cycles. Mick has worked for me now for over 16 years. It’s Mick who opens up the office and workshop every morning. 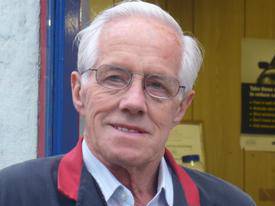 He has over 50 years of experience in dealers, independent receptions and workshops. 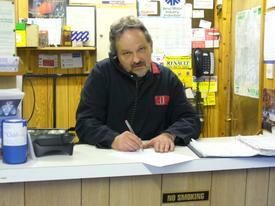 If you are calling in, or delivering your vehicle first thing in the morning, then Mick will be able to help you. Mick helps in both the office and the workshop, his wealth of experience making him an invaluable part of the team. Garry has worked for me for 20 years, having completed an apprenticeship with a local Vauxhall dealership. Garry has worked for a variety of dealers, including Porsche, as well as expereince with independent workshops and body shops. Garry concentrates mainly on servicing and general repairs at Nork, and is a fully qualified engineer of 27 years standing. Rob is an experienced and qualified motor vehicle technician, having completed an apprenticeship in a local Renault dealership. 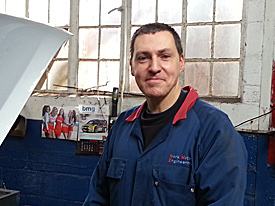 He then qualified as an MOT tester and currently conducts most of our MOTs. Rob has great interest in Vehicle Electronic Diagnostics and self-funded further courses to develop his skills. This was one of the things that greatly impressed me when he came for the job. 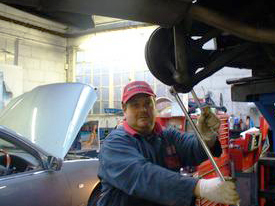 Over the years Rob has worked in a body shop, dealer, independent and fast-fit environments, gaining experience. He remains a valued member of the team.